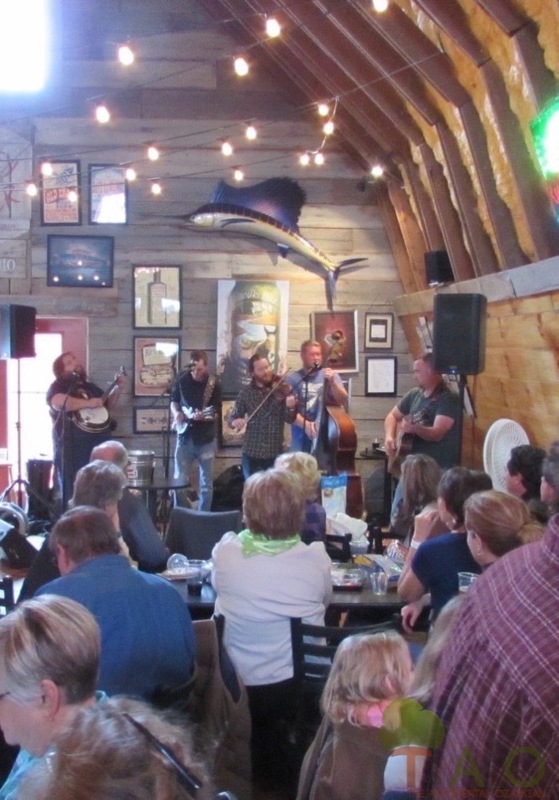 The brewery is not far from where I live in the Ozarks, and when I saw that it would be holding its aleivarsary on Sat., March 19, I knew we had to be there. After all, Deep Fried Squirrel would be onsite playing bluegrass all afternoon. And, we like micro-brewed beer. 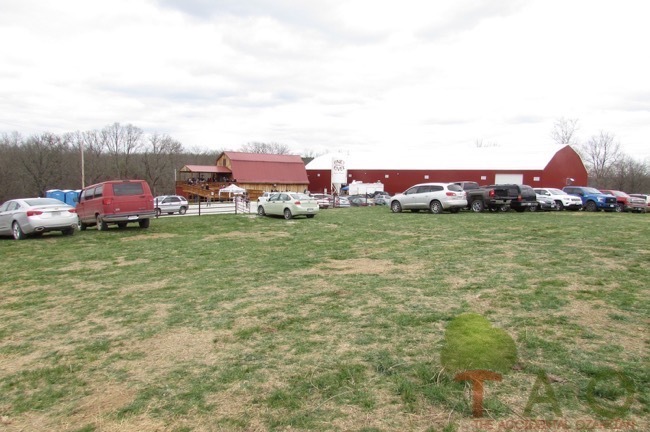 So do, obviously, hundreds of other beer aficionados who attended the event, held in the BARn – a renovated 70-year-old barn made of red and white oak trees off the farm. The present owners of the farm, Joleen and Brian Durham, live nearby in the 100+-year-old farmhouse. According to their story, the Durhams had been brewing beer on the farmhouse kitchen stove, and in July 2010 decided to turn the barn and brew-habit into a business. 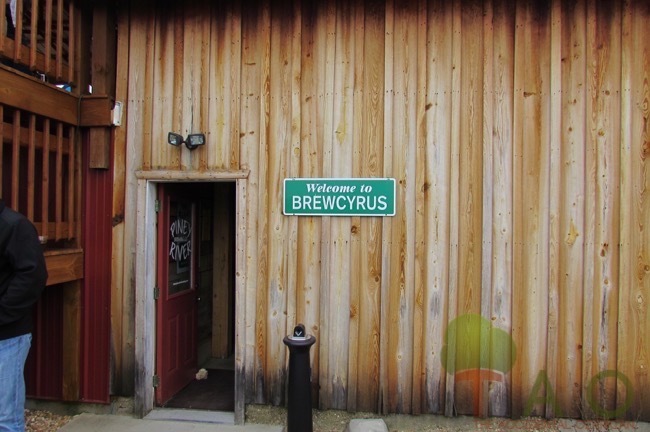 At first, the craft brewer operated as a nano-brewery, on a 10-gallon Sabco system. In 2011, the Durhams expanded the business to include a 7-barrel brewhouse with an automatic canning line. You can buy several of the beers throughout Missouri. You may also find them in restaurants and bars throughout the state. 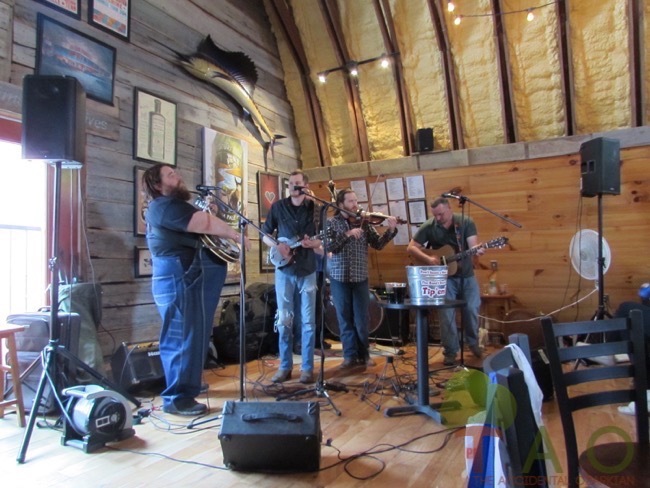 Now in its 5th year, the piney River Brewery serves award-winning beers – Float Trip Ale and Old Tom Porter – along with other beers in samples, pints or growlers. Other offerings include Black Walnut Wheat, McKinney Eddy Amber Ale, Bronzeback Pale Ale and Missouri Mule IPA. 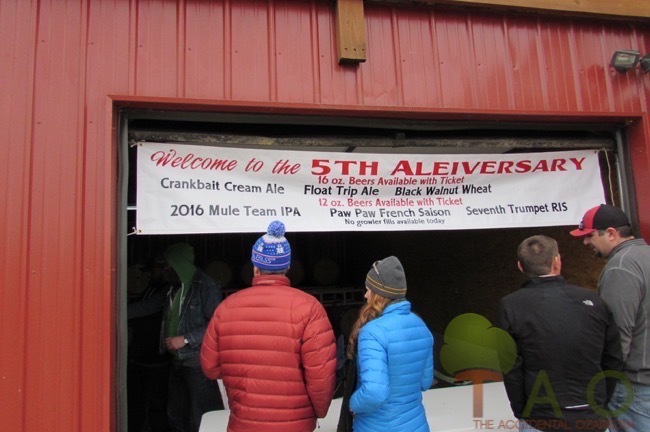 On this day, it also served 2016 Mule Team IPA, Paw Paw French Saison, Crankbait Cream Ale and Seventh Trumpet RIS. Food trucks served meat, chips and other bar food for those willing to brave the north wind for the unusually cold spring day. 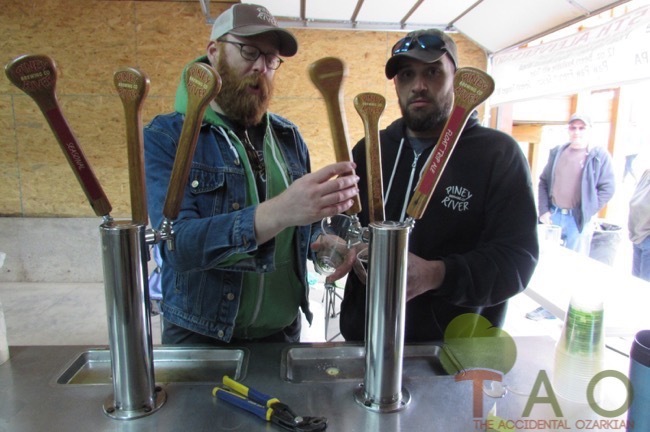 According to Jonathan Bates, the assistant brewer at Piney River, the Float Trip Ale led the popularity contest in requests from the tap-poured libations for the day, followed by the Crankbait Cream Ale. 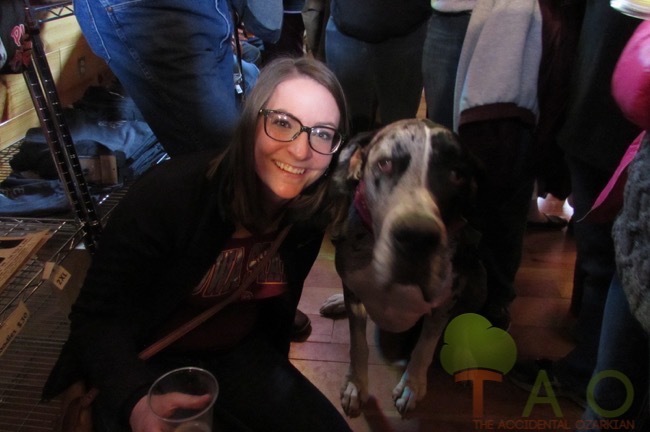 Dogs are welcome at Piney River Brewing Company, and Dr. Kelsey Witte, a local veterinarian, says she and Keyva, a European Great Dane, love to spend time at the BARn. Obviously, the owners have a sense of humor, as displayed by this signage and others on the property. Jonathan Bates (left) and Brandon Lee pull glass after glass of beer for the aleiversary. The BARn was filled to capacity for the event. On our way out, we were passed by this roadster. 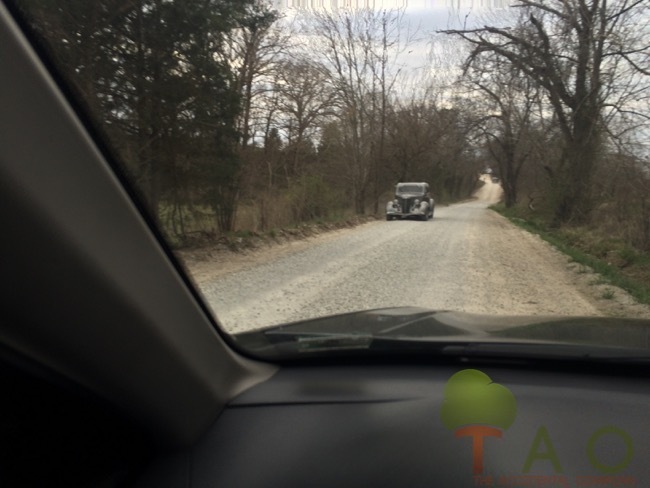 Indeed, a steady stream of cars and trucks traversed the old gravel road to the farm all day long. 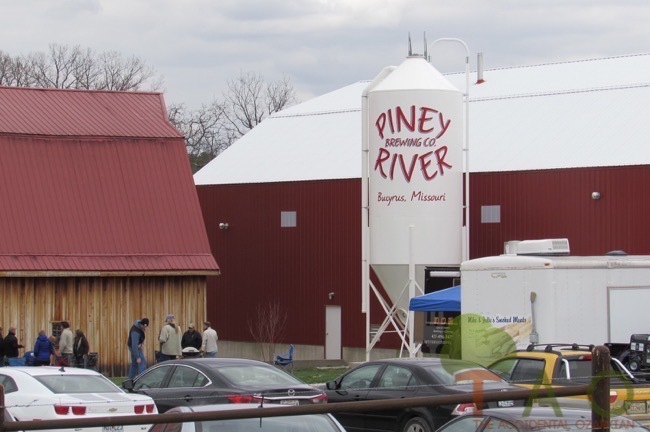 Visit the Piney River Brewing Company: http://pineyriverbrewing.com/home.html.